A while back, I vented about how startup founders should stop using the term platform because they often misuse it. It would be folly, however, to claim that this problem is confined to many entrepreneurs. They are hardly the only ones who fundamentally misunderstand the notion of a platform. Venture capitalists (VCs) are also some of the most egregious users of the term. …the NFL is a platform. And it’s not that different from the other top platform businesses out there–Amazon, Apple, Google, eBay, Facebook–in complexity and success. So in honor of the Super Bowl being played in the tech industry’s backyard, let’s set aside point spreads and playmakers for a moment and examine the NFL, Silicon Valley-style: as a platform. 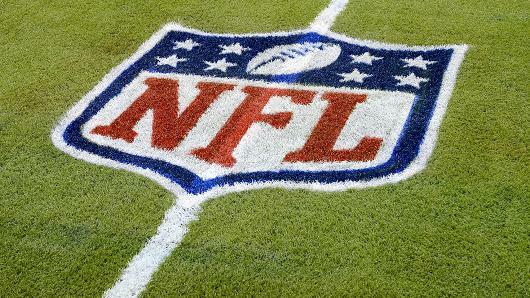 Which could help answer why–for the nearly 100 years it’s been in business–the NFL itself has performed so well. Of course the NFL is extremely profitable, but to call it a platform is grossly inaccurate. To compare it to Amazon, Apple, Facebook, and Google (read: the Gang of Four) is nothing short of absurd. True platforms allow developers to take a company’s core offerings in different directions. Sure, iOS is far much more closed than Android, but each operating system encourages third parties to create. True platforms encourage external innovation. Not only is the NFL not a platform, it’s not even a marketplace. Can anyone say the same about the NFL with a straight face? The league strictly controls its TV rights, policies, players, affiliates, partners, and even its official data. Do anything with its expressed written consent and you’re likely to find yourself in court. The key to the success of any platform–whether eBay, Facebook, NFL, or something else–is that someone manages the evolving needs of constituents and makes changes accordingly. Aren’t all the other major American sports leagues (read: the NBA, NHL, and MLB) also platforms? What about every other sport that has effected a rule change? By the authors’ rationale, doesn’t just about every organization then qualify as a platform these days? What about coffee shops? I suppose that they are platforms too. Have they not changed to meet “the evolving needs of constituents”? Make no mistake: the NFL is über-successful and even its recent concussion crisis won’t stop its next TV deal from surpassing its current one. But a platform?